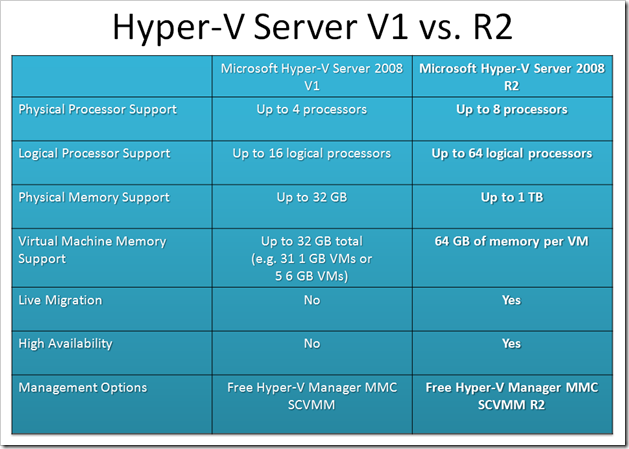 We should not forget that with a new version of Windows Server comes an updated Hyper-V (Hyper-V Server 2008 R2), this brings a wealth of new functionality and gives VMware’s equivalent a real kicking! The first thing that excites me is the support for 8 physical CPUs (not cores – they are virtual) and now with live migration and high availability too! 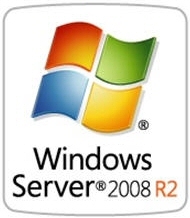 But wait, there’s more (and we are not talking a free set of steak knives here) Hyper-V Server 2008 R2 will BOOT FROM FLASH. 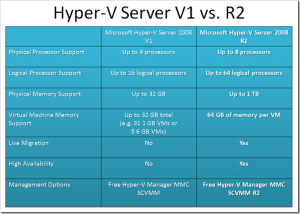 For more information see this recent post over at the Windows Virtualisation Blog.